Looking for a kid’s paddle board for your child? You’re going to have to choose the right kid’s SUP to suit their smaller bodies. So you want to raise paddle board kids? What a great idea and a healthy one at that! Paddle boarding enables your family to pend quality time together while getting some exercise as well. Heck, leave your phones on the shoreline and maybe you can connect in a meaningful way that you all deserve! Most paddleboards are big. I take that back… really big. 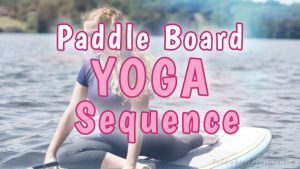 It’s not uncommon for a typical adult paddle board to be over 10 feet long, 30 inches wide and weight 25to 40 pounds. This is too much board for a child to handle. Sure your son or daughter would be able to stand on the paddle board and paddle it straight, but that’s only one small part of the sport. How is your child going to carry the paddle board? How will wind affect their safety? A small child wouldn’t even be able to reach the center handle on an adult paddle board to carry it. Unfortunately there are not as many child-sized options for a kid’s SUP as there are adult boards. Fear not. 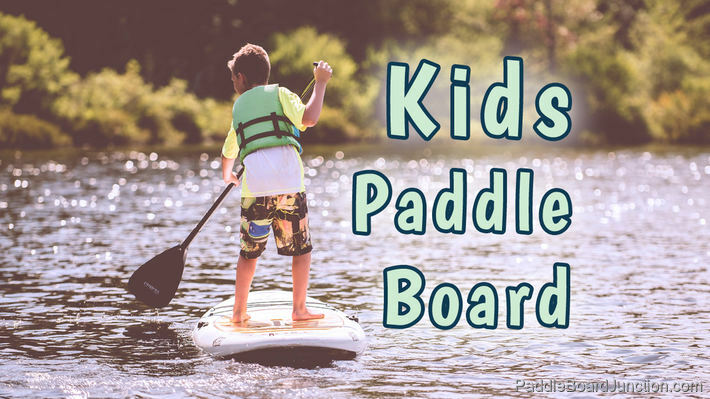 I’ve got a round-up of a few kid’s paddle boards that will be perfect for your child. 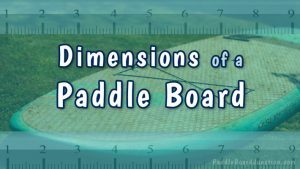 Due to various materials, widths, and thicknesses the buoyancy of a board can vary. 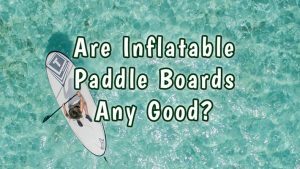 You’ll want to read each manufacturer’s recommendations and don’t assume that an 8 foot paddle board made by one company will support the same amount of weight compared to the same length of another company. If your little one needs a premium paddle board, look no further than the Glide Keiki. At 8 foot 4 inches and only 18 pounds the Keiki is durable and supports up to a 120 pound rider. 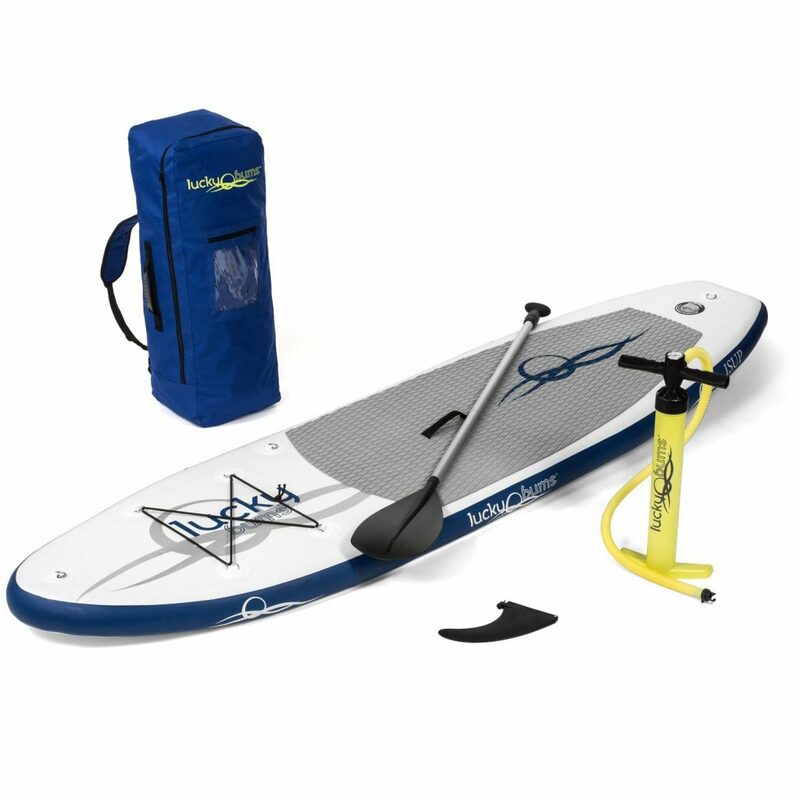 Its overall design allows for diverse paddling in all kinds of water conditions. 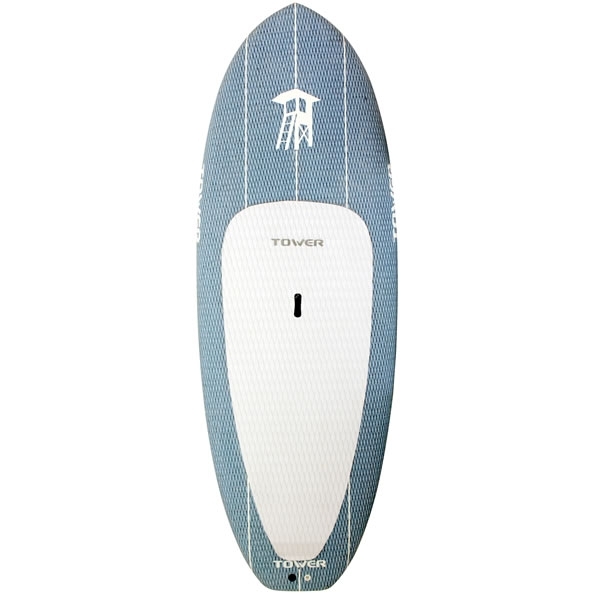 At 7 foot 10 inches and a really wide shape (32.5inches wide) the Tower Mini can float a paddler up to 150 pounds. Due to its ultra light carbon fiber construction the Tower mini weighs a mere 19.5 pounds. Because this board had a significantly large width to length ratio it is only for calm water paddling. It’s perfect for beginners whom will be paddling exclusively on lakes and in calm conditions. You can order the Lucky Bums iSUP right from Amazon.com for a reasonable price. Just make sure to order the 7 foot board as they do offer a few different sizes. At 7 foot long and 28 inches wide the Lucky Bums iSUP can handle a child paddle boarder up to 120 pounds. What’s great about this option is a paddle is included along with a convenient carrying case. I even like the fact that this board comes with tie down straps, they’re super helpful, especially on longer paddles. Perhaps your child is really young and you’re not even sure they are going to enjoy paddle boarding? Good ‘ol Walmart has one of the least expensive boards on the market. 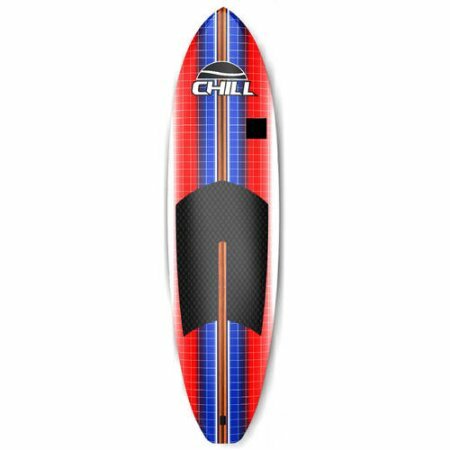 Their 8 foot Chill SUP even comes with a paddle. For around $200 or less you do get what you pay for. 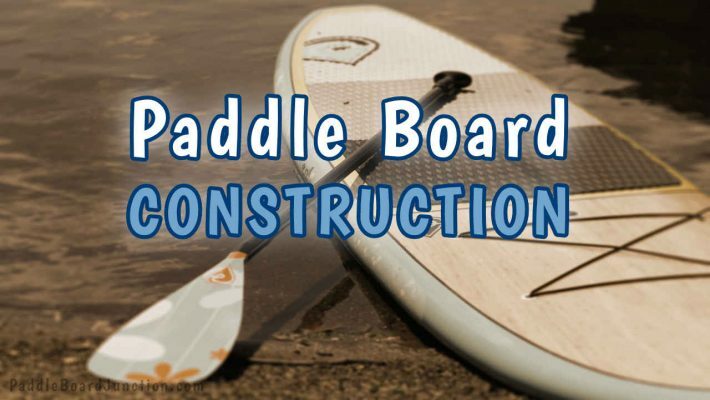 This board is solid foam and although they report that it can handle a rider up to 125 pounds I can tell you that it’s foam construction will be wobbly on the water. For this reason I would reserve this board for your youngest and lightest of riders. I would be remiss to discuss paddle boards for children without mentioning safety! Always watch the weather reports before heading out. Wind and lightning can really make things dangerous out on the water. The leash makes sure that youngster’s paddle board doesn’t get away from them. It’s a simple device but if they were to fall off the board and the board got away from them they might panic making the situation worse. I’ve seen wind really get a board moving too. A PFD (personal floatation device) should be worn by your son or daughter at all times. This can be a life jacket / life vest kind of device. Please avoid swimming bubbles and water wings. Only use a Coast Guard approved PFD. Well there you have it folks, 4 Good options for a kid’s paddle board! Spending money on a board can seem very expensive but remember that the board does keep some of its value. 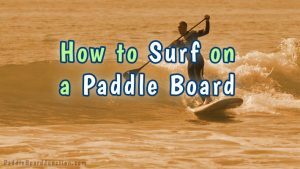 Even if your child only gets a few years out of the paddle board before outgrowing it, the board will still retain some value. You can always sell it and put that money towards a larger board later on. If you have even younger children they can inherit the SUP as a hand-me-down and squeeze even more joy out of it! Remember that money isn’t everything. The joy and experience that your child will get out on the water is worth so much more. What are you waiting for? Shut those devices off and plan your next family paddle boarding adventure!